5 Apps Every Personal Trainer Needs On Their Phone! This one’s for all the personal trainers out there! If you are a PT or run a personal training company then you’re going to want to tune into this post. I’m going to share with you 5 apps that you need to download on your phone today! Do you want to proudly showcase your client transformations and get more business? If you said ‘Yes!’ then this is a great app to use! We all know that great results lead to more business. The Moldiv app allows you to quickly create before and after pictures so you can show off your results! To make sure you’re not missing out on new business go download this app. 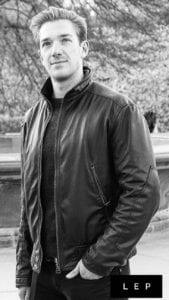 As a personal trainer myself I believe it’s absolutely imperative to keep learning, so you can help your clients and stay ahead of the competition. Audible is an app that allows you to download and listen to books on your phone. Last time I checked Audible were offering a FREE 1 month trial (I mean what have you got to lose?). For a small investment each month (£7.99) you’ll get access to plenty of incredible books, which can positively raise your knowledge and skill level. Some of my favourite audiobooks to date are: The Chimp Paradox and Start With Why. This app is perfect for the personal trainers commute to the gym! If you use social media (Facebook, Instagram or Twitter) or write a blog for your business then this app is a great tool for adding words onto pictures – giving you a professional marketing look. The beauty of this app is that you don’t need to pay a graphic designer to do the work for you. It can all be done on your phone and very quickly. It’s easy to use, and there’s a wide variety of fonts to choose from, depending on the look you’re going for. For those of you who use the normal timer/stopwatch on your phone you’ll know how frustrating/limiting it is! 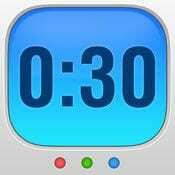 ‘Interval Timer‘ is a great app for creating interval training workouts. It’s FREE, easy to use and allows you to design intervals of your choice: 10s, 15s, 20s, 1 minute, 2 minutes and everything in between! Go download this app and you’ll see how easy and effective it is! I was debating whether or not to put this on the list, but for me this app has been an absolute game changer and definitely the one I use and value the most. Headspace is a meditation app which encourages you to take time out and recharge your brain batteries! The free version provides 10 x 10 minute sessions so you can get a real feel for it before signing up (again what have you got to lose? give it a try…). I absolutely love this app and have now signed up to the full version after being delighted with the results. The full subscription to the app includes meditation tapes to help you: relax, focus, sleep, improve health, and sports performance, you name the topic… and there’s a series you can do to help improve that aspect. I honestly could not recommend this app highly enough. 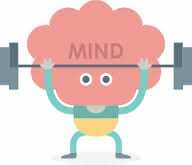 Headspace encourages you to take time out, reflect, and recharge your brain batteries so you feel better and provide a higher quality personal training service.